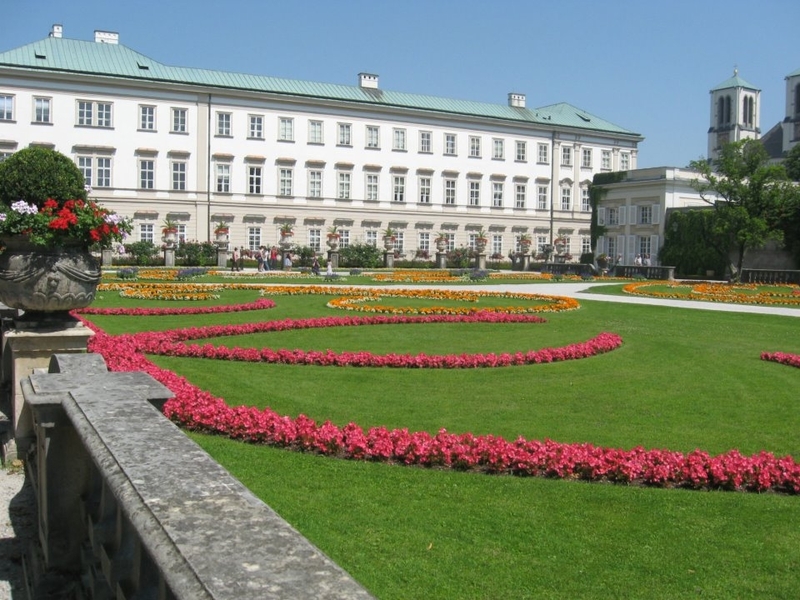 As gorgeous as Vienna is, you might just want to “get out of the barn” for a few days and take advantage of Vienna’s perfect location in Central Europe as a jumping off point for some amazing side trips. Because let’s face it – we all need a break once in a while – even if you’re in the world’s most livable city. And that’s the reason why I’ve been neglecting you the past two weeks. It’s true. 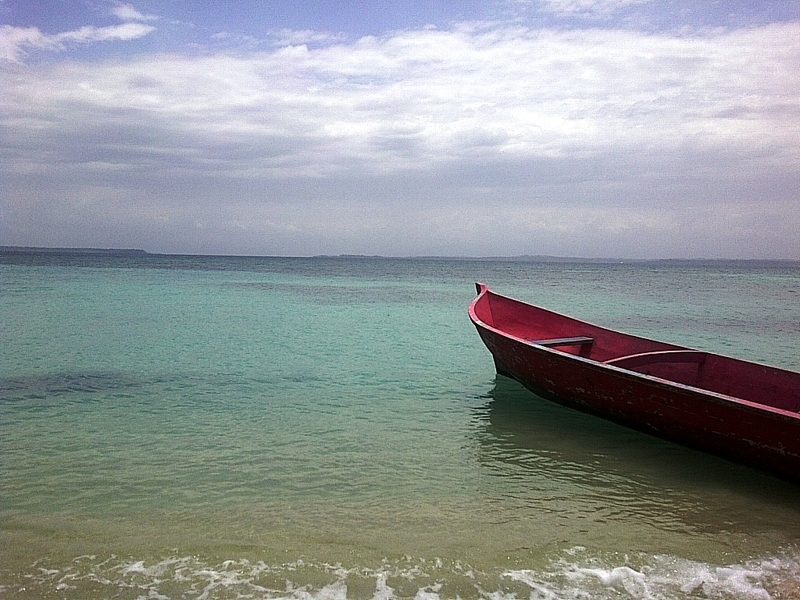 I left my beloved Vienna and had an absolutely wonderful time in Palm-treed, Pina-Colada Panama. And the highlight? A spontaneous outing to the Zapatillas Keys – white sands, turquoise waters and a long walk around the entire uninhabited island of Zapatilla 2 with a cool smooth Balboa Cerveza to compliment the ocean breeze and the Caribbean sun. Some locals recommended the day trip to Zapatillas and even though the snorkeling left me with a sunburned lip that could rival the best of the botoxed country club moms, I loved it. Which is why, dear readers, I am going to dedicate a few weeks to Vienna side trips. Just for you. The places I would take you. Because I don’t want you to miss these. Book yourself a long vacation – two or three weeks. You deserve it. See Vienna and hopefully a bit more. Because the hills are alive and it just wouldn’t be right to come to Mozart country without seeing Mozart’s birthplace (Getreidegasse 9). Hop on the train (Westbahn (run privately) or ÖBB (run by the Austrian gov) and in just under 3 hours, you are in Austria’s second most beautiful city (sorry Salzburg, but I love my Vienna). Save yourself some money and get yourself the Salzburg card. You can buy the card with or without hotel. It’s a very good deal no matter what you decide. I would definitely recommend getting at least the 48 hour card if not 72 hour card. Which sites are included: http://www.salzburg.info/en/sights/salzburg_card). I’m not getting any kickback on this card. I had to buy my own while there and did. The Salzburg Card will give you entrance to a lot of the tourist attractions AND serve as your public transportation ticket throughout the city and out to Hellbrunn (read more below) AND give you a boat tour of the Salzach complete with your boat doing a little waltz number in the water to the tune of Strauss (I am serious — cheesy – but you’re a tourist – drop the cool and embrace the cheesy). The bridge linking Franz Josefs Kai and Ferdinand Hanusch Platz is solely for pedestrians and the one you will probably traverse to go to and from Mirabell Gardens. The first bridge was erected in 1905 and the latest version opened to much fanfare in 2001. More than 20,000 people cross this bridge each day. 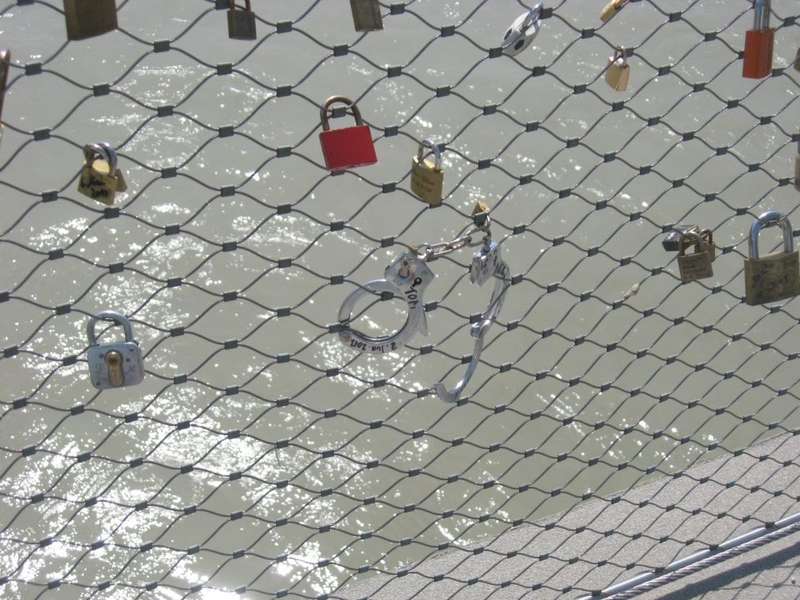 Don’t miss the romantic locks (and handcuffs) left by lovers on the bridge. What’s that hanging from the trees – Sloths? Monkeys? No! The von Trapp family singers! “Do-Re-Mi.” Remember? I walked through this garden once while a British children’s choir sang Elvis’ In the Ghetto. They sang behind some trees hidden in the park and their sweet little voices made the park all the more beautiful. Practically a must-see – the breathtaking white castle on top of the hill in Salzburg is one of the largest medieval castles in Europe. 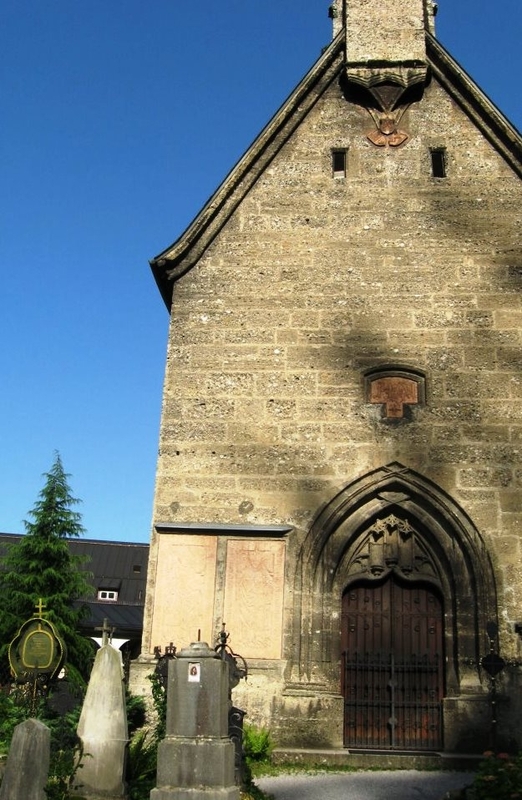 Construction began in 1077 (!) 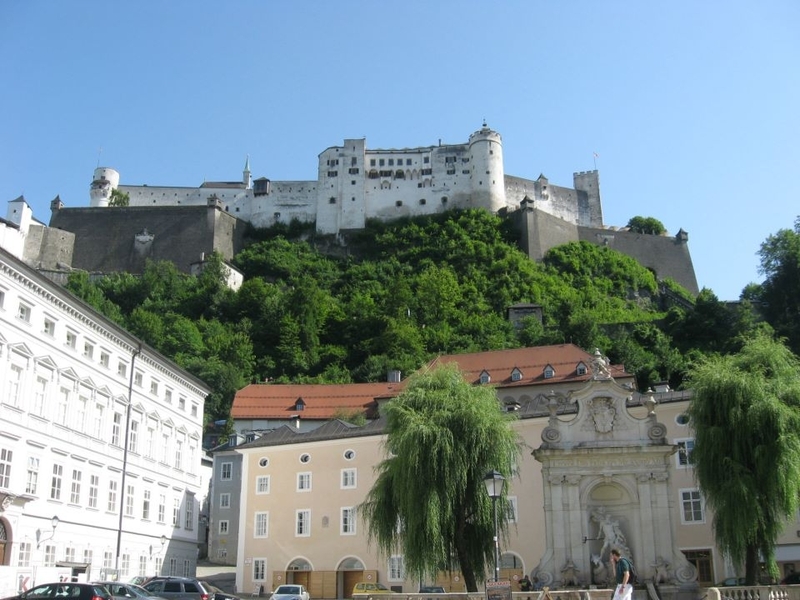 and Hohensalzburg Castle remains one of the best preserved castles in Europe. 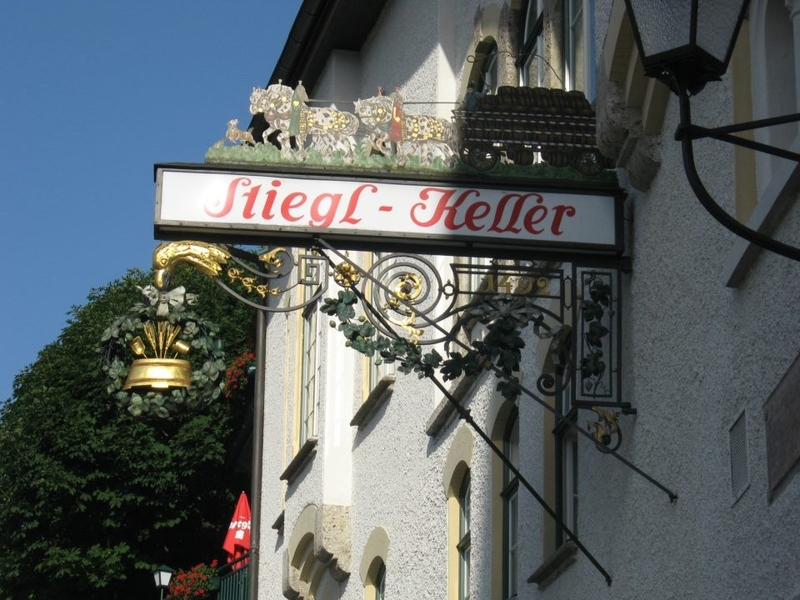 (Go see this when going to Stieglkeller or when taking the Festungsbahn cable car up the mountain). You know this place already. Besides being Salzburg’s oldest cemetery, it’s the cemetery where “the dramatic flight scene of Sound of Music took place.” You remember the heart-stopping scene when Julie and the kids hid behind the tombstones and we weren’t sure whether or not sweet-kid-turned-Nazi Rolf would blow his whistle. The Cemetery is located at the foot of the Festungsberg and Hohensalzburg Castle. Salzburg’s beloved Baroque cathedral founded in 774 (!) on the remnants of a Roman town and rebuilt after a fire in 1181. In WWII a bomb crashed through the central dome. The US bombed Salzburg 15 times and though our target should have been the train station, we very unfortunately missed our mark. If you’re interested, this website provides an overview of the US bombing of Salzburg complete with stats. The bus is free if you have the Salzburg ticket (see above) and easy to catch in the city. 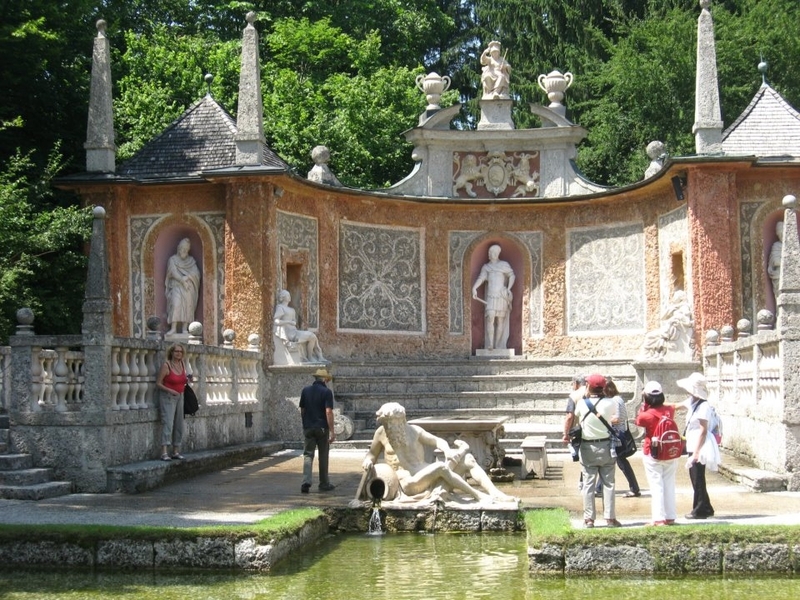 The palace is worth the effort – especially on a hot day. Just don’t be water shy (no matter how sweet you might be, you won’t melt) and maybe have some kind of plastic bag to cover your camera. That’s all I’m sayin. I don’t want to ruin the surprise. Oh and one last thing – fight to sit at the head of the table when you tour the gardens. You’ll love me for it. 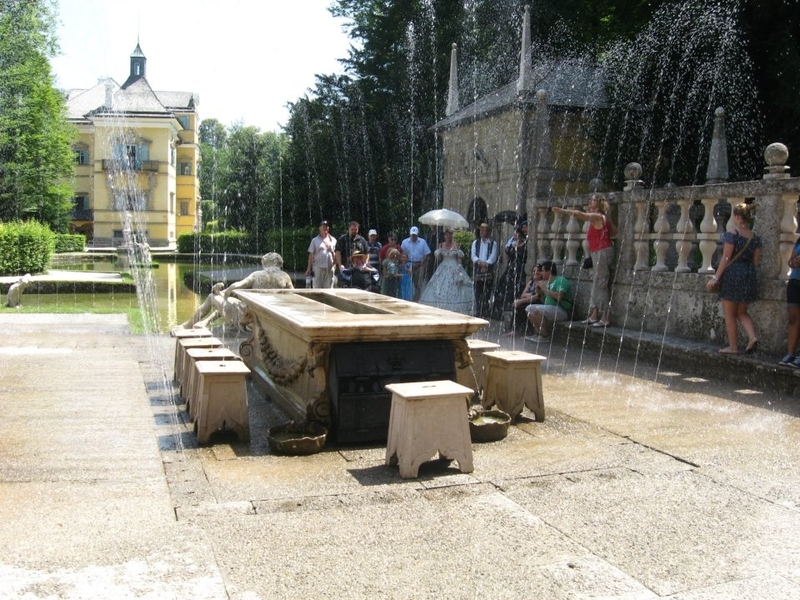 And don’t forget to look for the Sound of Music Pavillon (“I am 16 going on 17”). If you are so inspired – do a selfie video of your rendition of Rolf or Liesl singing and hanging from the sides gazebo and I will post it here – no matter how off key you are. Bound to get me a few clicks. 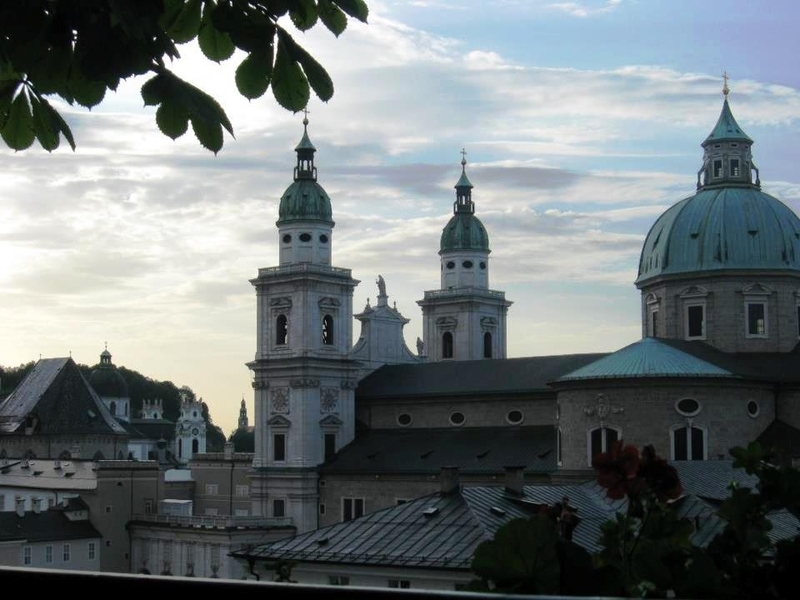 (contact them ahead of time and reserve a table on the terrace for a time around sunset – have your hotel call for you) for a stunning view of Salzburger Dom. Last time we went, the weather didn’t cooperate and we ended up inside – also nice but not nearly as beautiful. So if you have to choose – do Müllner Bräu if the weather is lousy. The monks do know how to drink – a bit of a walk and a bit hidden but super worth the effort, I promise. Beer garden it for the evening and plan to walk or taxi it back to the hotel (this should be your last stop because you will need to enjoy a pleasant sleep after these brews). When you enter the building, you will probably think I led you astray because you might feel like you’re in the wrong place. But would I ever lead you astray? Go through doors, down steps and through the hall, pass a bunch of food vendors in the marble corridor (get your chicken later) and then go around the corner until you reach the doors to go outside. (Let’s just hope you really are in the right place at this point). Just follow the others once you are inside or ask: “May I trouble you to ask where the lovely beer garden may be?” Always smile and rely on Austrians’ boundless patience with clueless tourists. Now comes the point where you have to act strategically. 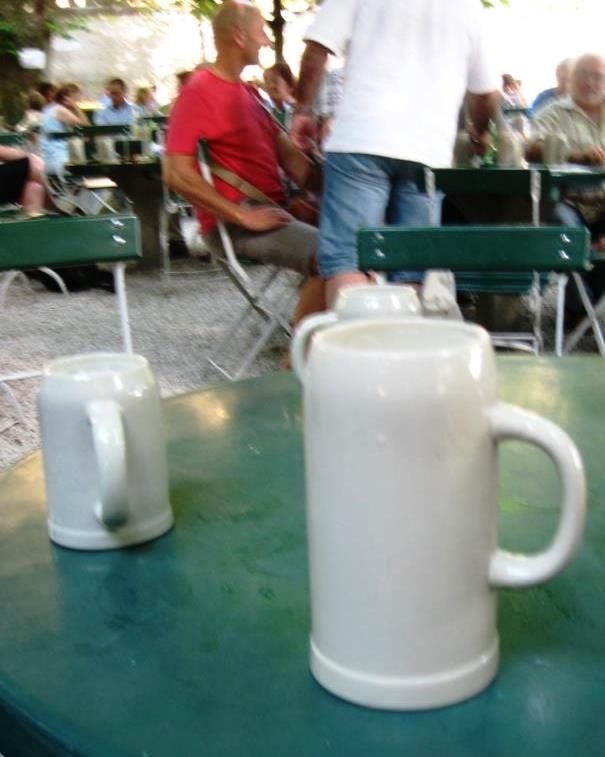 One person in your party needs to queue for the beers (one person can generally manage two 1-liter beers in the big mugs (see fuzzy photo taken after beer) while the more nibble and intimidating person (martial arts experience perhaps?) in the party needs to see about engaging in the beloved Austrian contact sport of “Grab-the-free-table-at-the-beer-garden.” This requires quick reflexes and the ability to act blind and deaf if someone else claims they had it first. You see one free, grab it and secure the chairs with your life. Don’t let the Dirndls and Lederhosen fool you. 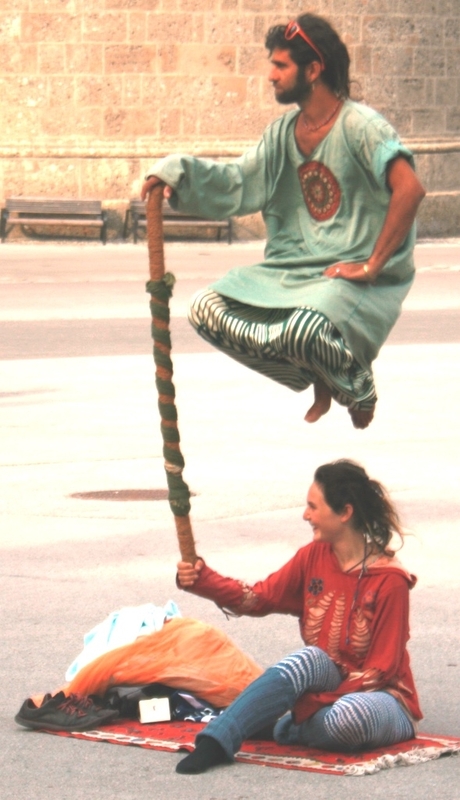 Austrians are ruthless when it comes to snatching up a free table – no civilized waiter-shows-you-your-place here. Get to know the locals and other tourists a bit better and wrestle if you have to. It will be worth it. I promise. (and send pics!). And if nothing is free and someone dares to hog up a table much too big for their group –kindly ask if you can join them by saying “Ist das noch frei?” (Is that still free/available? Pronounce “frei” as if you are saying “fry” or “cry” – as in ‘I will cry if I can’t get a seat in this beautiful awesome beer garden’ And if you do join another party, at the end of the evening, you’ll all be fluent in the same language and the best of friends. And if you have extra seats, be gracious and let the desperate join your party). Be sure to use the same phrase (“Ist das noch frei?”) when trying to swipe an empty unused chair from another table. If the weather is cold or rainy don’t fret — the dining room inside will make you feel like you are Harry Potter at Hogwarts – As an American, I have to say, this is how we picture the charms of the Old World and it’s even better. Epcot Center got nothin’ on this place! It alone makes a trip to Salzburg worth it. es sind die Toten uns nicht ganz verloren. wo die Schönheit Hüterin der Toten. ← Are you are Lebenskünstler? Or just a Connoisseur of the Art of Living?